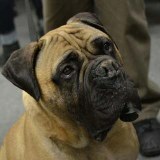 Explore the various Dogs at MAC research efforts. 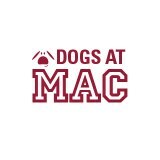 Learn more about the Dogs at MAC program. Register with the Dogs @ MAC program. 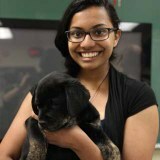 A joint study from McMaster and the Universities of Saskatchewan and Regina in partnership with the St. John’s Ambulance Therapy Dog Program, looked at how regular visits from therapy dogs improved the quality of life for older adults living in a Veterans Affairs Canada residence in Saskatoon, Saskatchewan. Bronwyn Shaw plays with Scout during a recent visit to campus. A new program will bring SPCA therapy dogs to campus for visits with Social Sciences students. Students will have one more opportunity to play with the SPCA's dogs when they return to Mills Library April 24 at noon.